Cardinal John Olorunfemi Onaiyekan has technically made a case for President Muhammadu Buhari who is contesting for re-election at 75. 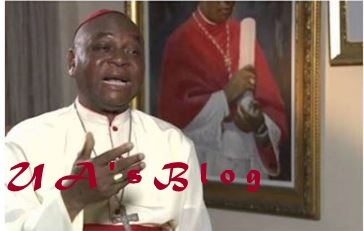 Yesterday, Cardinal John Onaiyekan, the Catholic Archbishop of Abuja Diocese said that age may not matter as President Muhammadu Buhari seeks a return to office next year. He said what should be of importance to those seeking to rule should be their concern for others and service to the people in the name of God. Although he said there was need to give room to younger people to rule, he expressed regret that from experience, the young people put in office had not performed. While speaking at the post-humous launching of the autobiography of a former Foreign Affairs Minister Chief Mathew Mbu, he said those seeking re-election must give cogent reasons. According to him: “At the end of the day, maybe it is not a matter of the age but a matter of your own mind, your intention, your love for doing the right thing, especially concern for others, politics and service to the people in the name of God. "If we start to take these things seriously, then probably, it would not matter whether we declare to seek reelection at 79 or whether we don’t. The important thing is: what do we want power for? Why do you want to seek re-election? . Notwithstanding, Onaiyekan sought opportunity for younger people to be in power in the country.